We're vlogging! Click the image above to watch the very first one! Subscribe to be notified when a new video is posted to the Common Day channel! (So many exclamations because, I'm so excited!!!!!) We hope you'll follow our adventures and the journey of our everyday. You'll see that Derek has a hand in creating some of the content for the vlogs, and I'm so excited to collaborate with him -- something we have enjoyed doing together for quite a while. 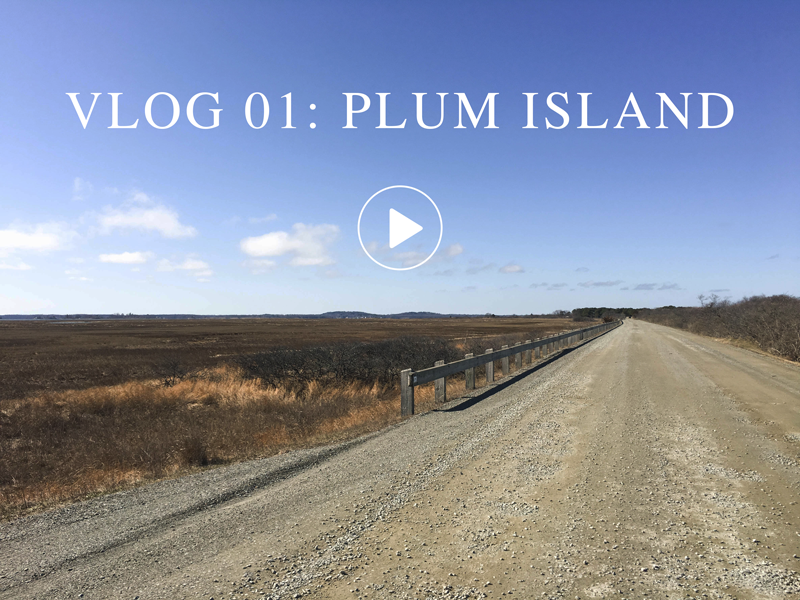 On our most recent Saturday adventure, we headed out to the Plum Island Wildlife Refuge in Newburyport, Massachusetts. I took along one of my grandfather's old film cameras that Derek had restored for my twenty fifth birthday — a gift so meaningful as this I believe he is who I inherited my love for photography from. This was the perfect place to get creative behind the camera and enjoy the beautiful weather.